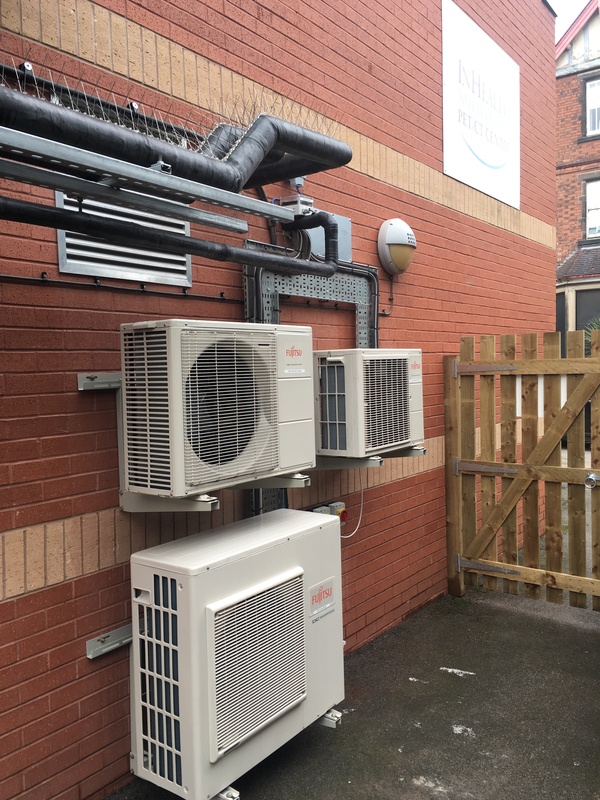 Works are completed to the new storage and refurbishment centre for Health Imaging Solutions Ltd.
Friargreen were awarded the works to provide new 1st floor offices, Shielded CT refurbishment bays and MRI Cryogen storage bays to their existing facility in Sheffield. 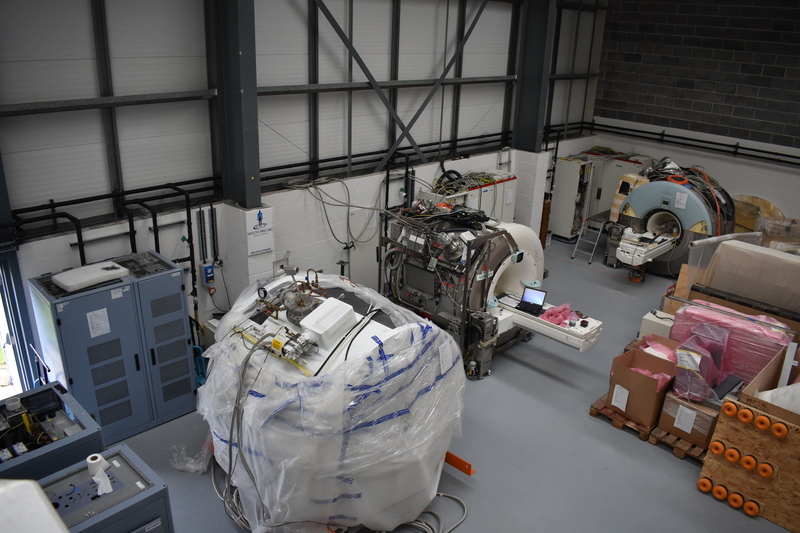 The CT bays were constructed with high density concrete block walls and lead shielding complete with all mechanical and electrical services to enable them to refurbish Imaging equipment from all manufacturers in house, using their own OEM trained engineers. MRI cryogen storage was a key requirement and a total of 5 nr MRI storage bays were created to enable either their own or customer MRI scanners to be stored securely and the cryogen compressors to be run 24/7 to maintain helium levels. 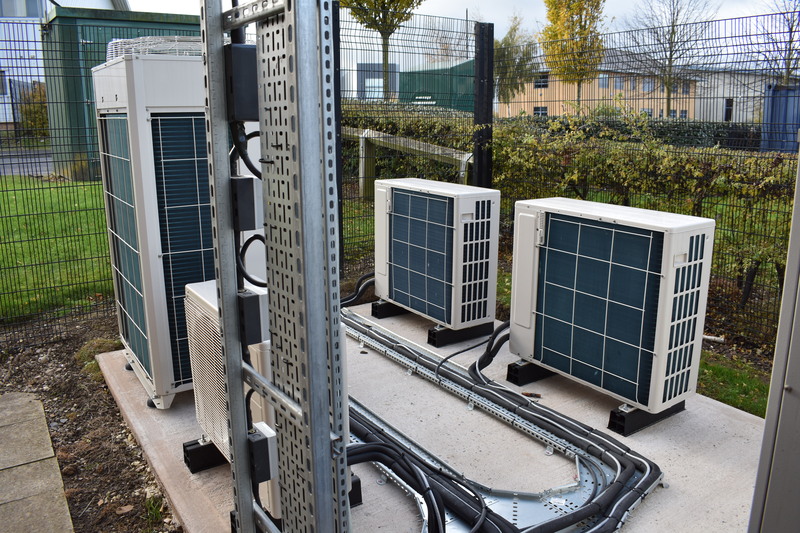 The chilled water system was designed to provide full redundancy with the installation of a second water chiller that can be used in the event of failure or routine servicing to ensure that no unnecessary down time to the MRI scanners. We also installed 4 Marechal DS2 socket outlets which enables the client to bring mobile MRI trailers to there facility for service work and/or storage. 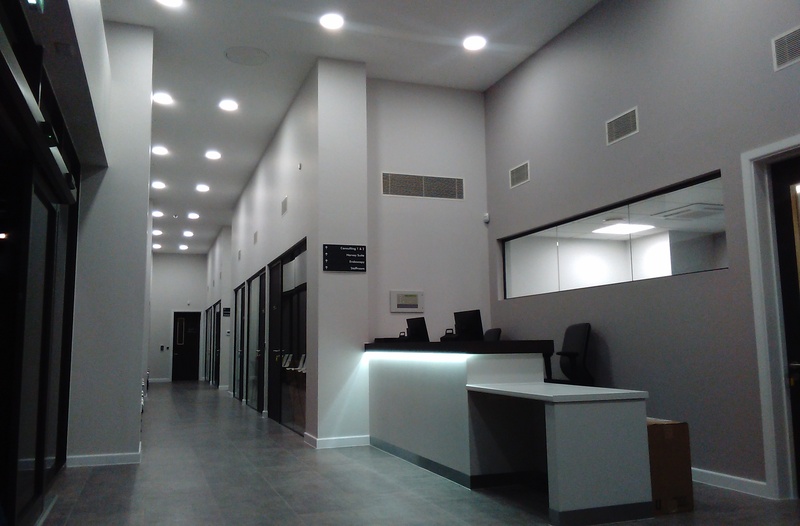 We are delighted to see that the facility is in full use and the client is getting the maximum benefit from their investment and it was a pleasure to bring our wealth of expertise in the medical imaging sector to this project and work with this client to achieve the best possible result. 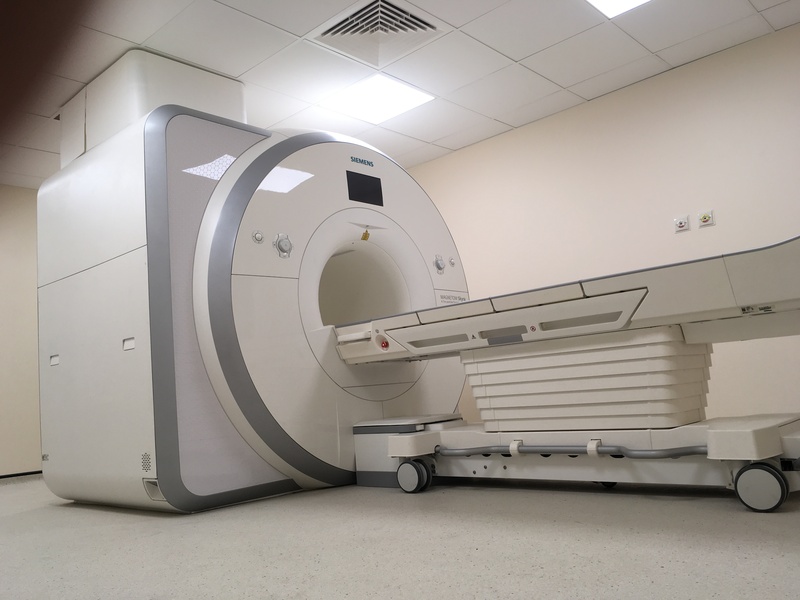 For this project, our client chose an existing building that was solely used as a PET CT imaging centre and our brief was to create a space on the ground floor in order to house a stand alone MRI scanning centre. Friargreen Construction were appointed to undertake this project on a full turnkey design and build basis which involved creating new staff facilities and administration offices from the ground floor to the first floor creating an MRI scanning area in the space of the original accomodation.In order to facilitate the delivery of this project and the Siemens 3.0T Skyra MRI scanner it was necessary to carry out structural modifications to the steel framed building to create an open space for the scanning area before fitting an RF Shielded enclosure and all mechanical and electrical services associated with the Siemens equipment. 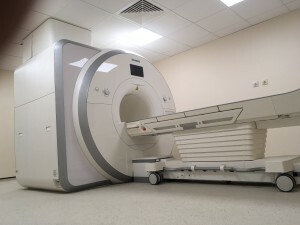 Due to the space constraints and the need for an MRI recovery bay it was necessary to remodel the PET CT department, reducing the number of Hot waiting rooms in size to create the space. New radiation shielding was carried out based on the requirements of the RPA and this was all completed outside of normal working hours to ensure the client did not endure and loss of service. Friargreen were delighted to receive such a glowing report from Fujitsu on the quality of our works at a recent Endoscopy project. It’s nice to be recognised for quality and attention to detail. 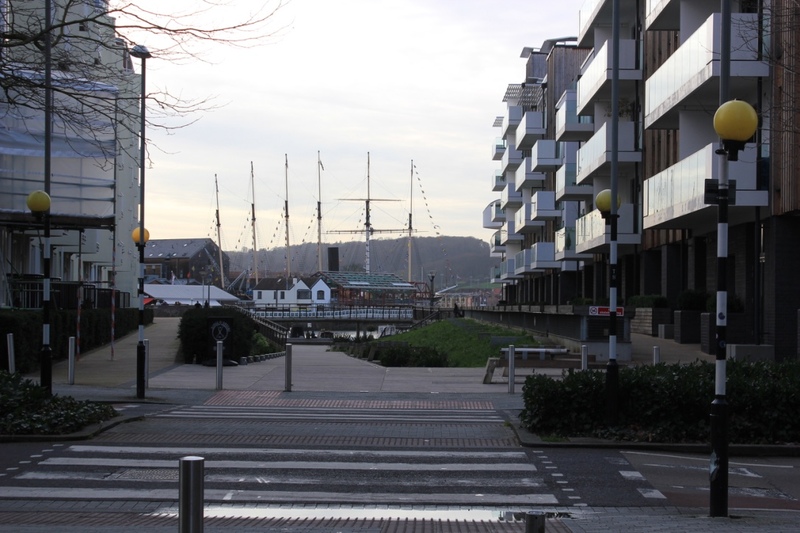 This project which is located in the harbourside area of Bristol was chosen by our client who due to rapid expansion had outgrown their current endoscopy facility in Westbury on Tryme and wanted to create a new outpatient endoscopy facility in the heart of Bristol. 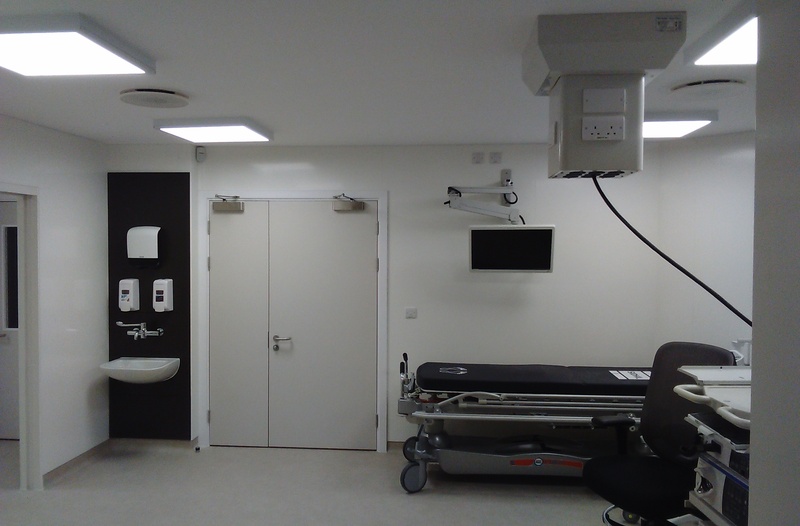 Friargreen Construction were chosen to provide Prime Endoscopy a full turnkey Design and Build package based on their requirements. 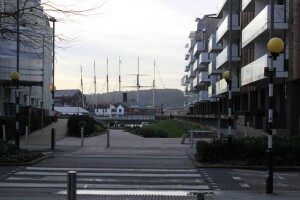 The works entailed complete fit out and external fenestration to two individual units located in the pedestrianised area of Millennium square which had been granted D1 Medical use. The patient pathway was key to the design of this building and JAG accreditation was required for the facility and patient comfort had been considered right the way through the build. There is a large high ceiling reception /waiting area to the front of the building where patients will then go through to one of the four consulting rooms before being taken through to the preparation rooms which have their own private WC facility. 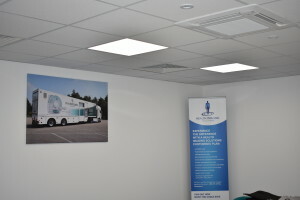 The procedure room is located adjacent to this which has doors at each in order to facilitate the patients to go straight though to the recovery rooms or the dedicated lounge before finally leaving via a comfortable discharge room where the procedure can be discussed in private with the consultant. 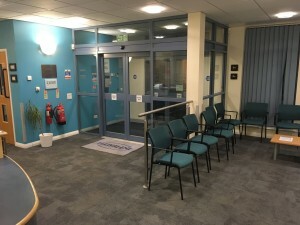 Prime Endoscopy Bristol carry out all of their endoscope cleaning and have a dedicated clean and dirty utility room which is located between the two procedure rooms. This houses 4 Olympus ETD4 Endoscope washers with a chemical dosing plant, complete with rise and fall stainless steel sinks and dedicated scope drying cabinets. The staff area and comprehensive mechanical plant room were located on two separate mezzanine floors to each side of the building in order to maximise the usable space within the building and with an overall floor to ceiling height of 4.8 metres available Friargreen Construction had to draw on their expertise to gain maximum ceiling heights whilst still ensuring the mechanical and electrical services would serve the building efficiently. 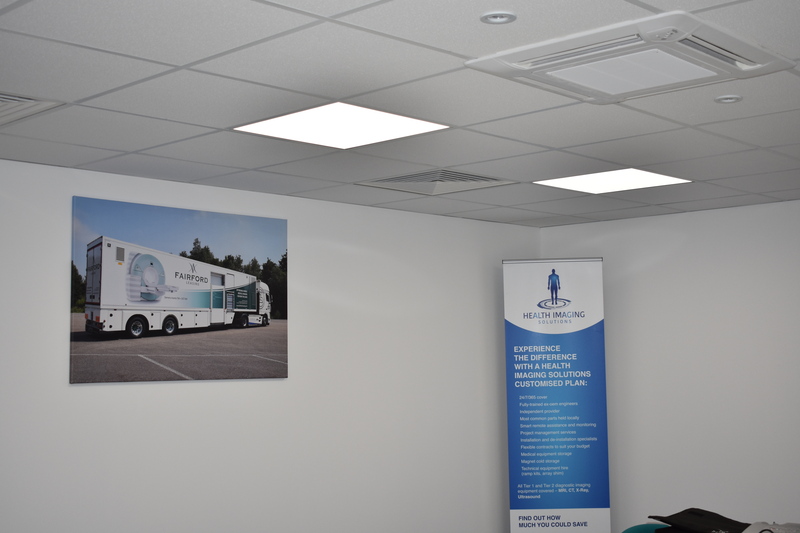 As this was Prime Endoscopy’s flagship site, a dedicated meeting and training facility was constructed to the far end of the building in order for it to be used as a central hub for both staff and the executive team when the need arises. Perhaps to some, the removal of a supporting wall which was carrying some 400 tonnes from the residential flats above would have been offputting but Friargreen Construction were able to undertake the removal of this wall and transfer the imposed loads to a new steel frame which was tied into the existing pile caps. 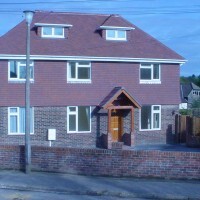 This work was all encompassed within the design and build package and Friargreen were delighted to be able to showcase their ability to undertake the diverse nature of this works. Works are completed to the CT scanner refurbishment project at the United States Air Force Hospital in Lakenheath, Suffolk. The installation of the Toshiba Aquilion Prime CT Scanner further complements the recent refurbishment projects to the radiology department which gives the UK base some of the most advanced imaging equipment available. 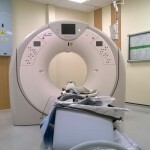 The original Siemens scanner was removed and the room refurbished to accommodate the particular requirements of Toshiba’s CT Scanner.